Answering distress calls can be a tricky business, as Captain Disaster has found out before - but he's a good-hearted individual so of course he answers yet another one. At first there doesn't seem to be any danger, just a couple of odd aliens with a unique business plan - but things soon take a turn for the worst as it emerges that they are not alone on the planet. 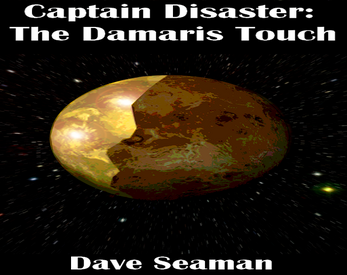 Another comedy sci-fi short story from the deranged creative mind behind the Captain Disaster eBooks and computer games. Captain Disaster: The Damaris Touch is available for just $1.25 on Itch.io. May the Fourth sale be for four days!